Telenav working on “more holistic” in-car advertising. Demonstrating what it calls the first version of its commerce experience, Telenav foresees a way for automakers to tap into the estimated $212 billion U.S. commuters spend while driving. LAS VEGAS – Telenav, best known as a leading supplier of automotive navigation software, demonstrates where it believes in-car commerce could go in the future at CES here. While the company has been investing in in-car commerce for three years, starting with exploring in-car advertising via its location-based advertising business, ThinkNear, it now wants to offer something more holistic. Demonstrating what it calls the first version of its commerce experience, Telenav foresees a way for automakers to tap into the estimated $212 billion U.S. commuters spend while driving. Automakers are keen to raise revenue through in-car commerce and other efforts, such as subscriptions, that have the vehicle generating money for them every day of its life on the road. Telenav breaks in-car commerce down into four categories: promoted and sponsored content, contextual commerce, predictive commerce and on-demand commerce. Shown in videos where a driver orders pizza from Domino’s and finds parking via voice recognition are the contextual and on-demand aspects. In the video, the driver places a relatively complicated order for three pizzas and a bottle of Coke presumably at a Domino’s he has visited before or has pre-selected. A voice assistant asks him if there is anything else he would like in his order and he remembers he wanted to add mushrooms to one pizza. Again the voice assistant asks him if he needs anything else and he says no. She quickly gives him the total and asks if he would like to charge it to a credit card he stored and he says, “Yeah.” She then tells him his order will be ready when he arrives and asks if he wants her to route him there and he says yes. The entire process took roughly 50 seconds. “The key takeaways are, No. 1, commerce in the car must be voice-enabled and secondly, drivers must be able to use natural language to place those orders,” Wood says. Another video of the same driver shows him pre-pay for a parking meter, which is enabled by geo-coding. “This is one of the many cases why it’s important for commerce to be location-enabled,” Wood says. “For gated parking lots and post-pay we’re currently integrating with major parking lot companies,” making it so when a driver arrives at a gate he or she doesn’t have to pull a ticket, instead hitting a button on the screen in their vehicle. When they leave they hit a payment button in the car and the gate opens. While the video presumes facial recognition will be sufficient verification of a driver’s identity in three to five years, today Telenav notes a log-in from the car would be required, connected to a profile set up with a stored credit card. 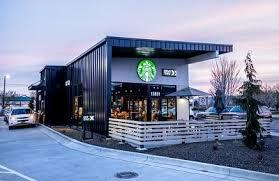 In another example, Wood uses a prototype mobile-based solution enabled by Android Auto to request, thanks to predictive commerce, his usual order from Starbucks (below, left). Telenav estimates annual gross revenue per vehicle could be $10.05 based on the type of transaction (coffee, dining fast casual, parking, fuel and QSR), the monthly frequency per transaction category and the cost of the average order. Telenav has a variety of partners for in-car commerce, noting for one feature – the ability for plug-in electrified vehicle owners to pay for use of a charging station from their car – it is negotiating with a leading charging network provider. Telenav also demonstrates its new Amazon Alexa integration, joining with the online-commerce and voice-assistant giant to offer “true automotive support for Alexa into their vehicles. I think you probably will see a lot of announcements on this, but this is mostly like putting an Alexa microphone into a car. It hasn’t actually changed Alexa,” Wood says. “But that’s not the case with our integration…Our Alexa integration is beyond allowing people to simply converse with Alexa in the car. Our unique integration includes full navigation control and route awareness.” He says that has never been done before with Alexa, nor has a hybrid visual-voice user experience. Wood says Telenav already is working with an OEM for a production model that would bring this Alexa integration into the vehicle.